Hazel Findlay and the next generation of climbing. A lot of acknowledgement goes to the previous generation, to the ones that paved the way for the up and comers. I know personally, I owe a huge amount of thanks and gratitude to Lynn Hill and Nancy Feagin. When I was 19, these two famous ladies invited myself and Kath Pyke to free climb big walls on the island of Madagascar. At that time, I knew next to nothing of multi pitch or trad climbing, but they took a chance on me. My sole trad lead at that point in my life was on a 5.6 at Donner Summit. More than half of my gear fell out as I summited the short pitch and laughter of people at the base greeted me when walked down. I hung my head low, and resigned myself to a lifetime of sport and gym climbing. Without the continued encouragement of friends and inspiration of heros like Lynn and Nancy, my climbing life could have been solely clipping bolts and breathing the chalky air of a gym. Along with acknowledging the previous generation, I think it is equally important to acknowledge the ones coming up, the ones who will push the limits even further than previously thought possible. I first met Hazel in the boulders of Yosemite a handful of years ago. A few of us were attempting Thriller and she wandered into the mix to for a little while. Quiet and soft-spoken she left an impression on me as a humble and kind person. These people stick with me. The showy, boasting people leave my memory as quickly as they tell of their recent send. Since then, I’ve had the privilege of hearing about Hazel’s amazing climbing exploits. For those of you who aren’t familiar with Hazel, she’s taking the reigns of women’s trad climbing and moving them ahead, with great guns. I was inspired to interview Hazel because over the years I’ve seen very few women come into trad climbing and take it to the next level, especially with an ethic and attitude like Hazel’s. 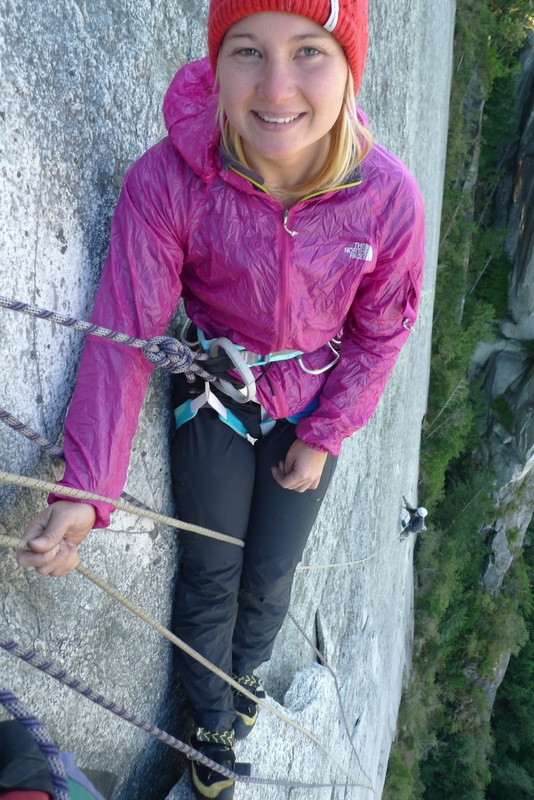 It seems that each generation has only a few women truly pushing the limits of trad climbing higher. The generation that inspired me set the bar high: Lynn Hill, Catherine Destivelle, and Nancy Feagin. In my generation, I drew inspiration from fellow climber Steph Davis. And now, there’s a new generation coming up that is doing things above and beyond. With the recent release of the Odyssey, people can see her natural talent and love of climbing. I know that along with Lynn Hill, Catherine Destivelle, Nancy Feagin, Steph Davis, I can now add Hazel as someone from whom I draw inspiration. Can you tell me of your earliest memory of Yosemite, or Yosemite climbing? Could be a magazine article, first trip to Yosemite, story from a friend, etc. When I was 11 a high school friend who wasn’t a climber got me Masters of Stone 5 for my birthday. She didn’t have a clue about climbing but she saw the front cover and thought it looked cool, I was particularly taken in by the section with Dan Osman. Although he was mostly doing rope jumps, it was shot really well and you couldn’t help but be in awe of Yosemite; such big walls of clean granite, so different to anything in the UK. It opened my eyes to the potential that the world has; there’s just so much there to climb and explore. 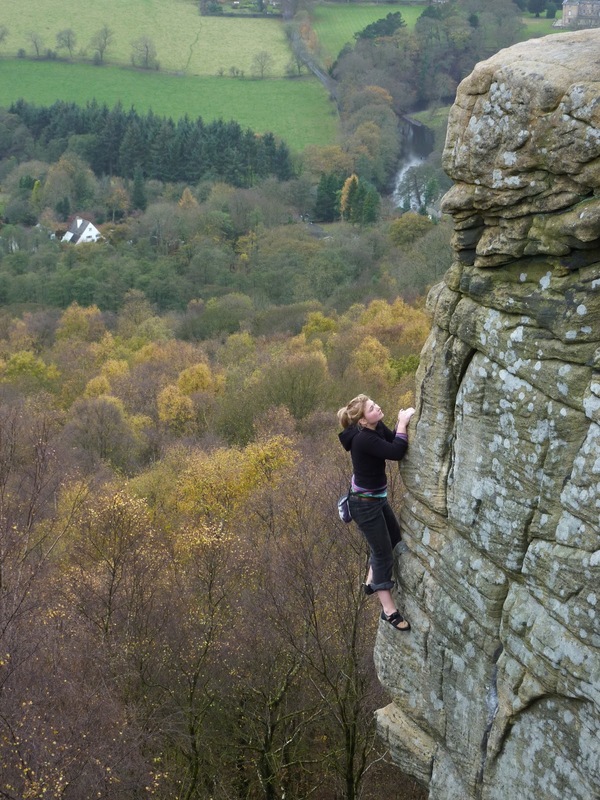 Having grown up on gritstone, did you find the transition to granite easy? Difficult? Did it take you a while? I didn’t grow up on gritstone at all. I had done very little before climbing on granite, and I still haven’t done that much. I mostly learnt to climb on the limestone sea cliffs of South Wales. With this and climbing inside, I became a good face climber who was good at placing wires, not cams. When I made the transition to granite, it felt very difficult because I didn’t know any of the jamming techniques. I was constantly looking for hand holds and foot holds. Climbing had always felt natural because I started so young, but when I first tried to crack climb, when I was 19, I felt like a beginner for the first time. This was hugely crushing for my ego, but overall it had a massively positive impact on my climbing: I learnt how to crack climb through forcing myself to do something I was bad at, despite it hurting my ego. A few years later I could crack climb almost as well as I could face climb, and I had also learnt a few things about my ego, perseverance and dealing with failure. When you were younger, which climbers inspired you in your climbing? Which climbers inspired you for you Yosemite climbing? Lynn Hill was obviously a huge inspiration because her free ascent of the nose not only set a standard for women, but for all climbers. Although I was too young to realise this at the time, Lynn’s ascent also opened peoples eyes to the free climbing possibilities on El Cap. For me, at the time, being young and impressionable, I felt like if I could get even slightly close to that level – in other words free El Cap – I would be the happiest person in the world. I’m pretty psyched to have reached that level, but of course it never stops there. Other climbers are yourself, Tommy Caldwell and fellow Brits Leo Houlding and Jason Pickles. Your and Tommy’s ascent of the Nose demonstrated that Lynn isn’t some super-human anomaly, and that it is possible to climb hard routes of El Cap, especially women. Leo and Pickles, although ultimately they failed in what they originally set out to do – they really tried to do something amazing and their spirit of trying things ground up on El Cap is something I admire and have tried to replicate. Now having freed 2 independent lines on El Cap, do you have more aspirations on El Cap? There are so many good routes on El Cap. It seems as though, if you took almost any of the pitches on El Cap and put them on the ground in England they would all be all-time classics. I have thought about trying something a lot harder, and projecting it from the top down – but unless something changes – this doesn’t excite me as much as just turning up with a topo and trying it from the ground. When El Cap isn’t in your back garden and you don’t know it so well, the wall feels like a massive adventure with many secrets, and in trying something ground up you get to appreciate it in this way. That said, maybe I could do with a challenge like that. Do you have any aspirations to take what you’ve done in Yosemite to the bigger mountains of Patagonia or the Himalaya? Yes definitely. I’ve climbed in a few low-commitment alpine environments now, and each time if feels like something special. There is certainly something to be said about being in the mountains, and even more to be said about being in the mountains and rock climbing hard. However, I’m a bit cautious about mountains in general and would like to gain more experience before I venture out to somewhere like the Himalayas. The Alps are a perfect learning environment since you have the lifts… and the granite can be close to Yosemite in quality. How much time do you spend sport climbing/gym climbing vs. trad climbing now? Has that changed throughout the years? I mostly go from trip to trip, so I very rarely climb in the gym, just when I go home and the weather’s bad. I do sport climb a lot more now and I really enjoy it, it helps me get fitter, but it also helps me to appreciate my love of trad and adventure. After sport climbing for a few weeks I get really psyched to climb long routes, or be in the mountains or climbing choss, or be high above my gear, and this is great because you really do need to be psyched for those things! What is your favorite food (doesn’t have to be wall food at all, just in general)? What I miss most when I’m away on camping trips, is marmite on toast. But I suppose I wouldn’t want to eat it all the time. I like curries. What is your favorite thing to do outside of climbing? Sadly enough I’m a bit of a one trick pony and I don’t partake in any other sports, not even yoga, which everyone seems to be in to these days. But I like normal things like reading, cinema, seeing friends etc. In the UK we have a bit of a club scene, where we go out and dance, I really enjoy this, and much prefer it to the bar scene which tends to revolve around getting drunk, finding a date and listening to really bad music. Do you see younger climbers interested in trad climbing? I know when I was younger hardly any kids in my generation trad climbed. It seems slightly more popular now, but curious if you see your generation or the generation behind you getting into trad climbing? In the UK I see quite a few younger men/boys into trad climbing, they seemed psyched to push themselves, be bold and get in to the UK trad ethics and history. I don’t really see any young women into trad. I have a female friend a few years younger than me that is a really talented climber and psyched for trad, but that’s about it. In the recent years the UK has seen a lot of strong women progress thorough the sport, but those women are boulderers and sport climbers. Even globally, I see very few young women trad climbing. Why do you think there aren’t many other women trad climbers? I’m not sure. I guess it’s a long process to become a trad climber who actually pushes themselves. I was lucky enough to grow up in a scene of climbers where this was the norm. However, I have noticed that women lack the mental strength that men do and I’m not entirely sure why that is. Maybe women lack the sufficient drive because for women other things in life are more important. Evolutionary, we are designed to raise and care for children, I know men weren’t designed for rock climbing, but they were designed to hunt; perhaps it’s just not in our make up to crave and deal with fear and adrenalin in the same way that men do. I also think that for men being brave often has a lot to do with the ego; a women can back off a route and she won’t feel like a pansy, or that her ego has been hurt, but for a man, his ego has been hugely bruised, because he is a man and men aren’t supposed to be scared. This is a social difference and it’s really self limiting for women to feel as though it’s OK to be scared simply because they are a women. I don’t think I’m naturally courageous or anything; when I was little I was just as scared as the other kids. I just think that over time, through continually pushing at my comfort zone, I’ve become desensitized to ‘scary’ situations like taking big falls and therefore they have become things that aren’t scary. Most of the time it’s a matter of rationality because when I’m actually in a dangerous situation and I know it, I will be scared and so I should be. But in those situations it’s not about turning off the fear, but what to do with it, if you want to get out of the situation unhurt then you have to be a relaxed climber even though your thoughts are anything but relaxed. I see these things as an on-going learning curve, and just in the same way as I need to train my fingers and arms, I need to keep on top of my mental strength. I’ll know if it’s dropping a bit, and if that happens I’ll try to push myself out of my comfort zone, maybe take a big fall or something and generally this will sort it out. I like to think that courage isn’t really something you have or don’t have, rather it’s just a matter of how much you want to do something. If I’m lacking in courage then I simply equate that to not wanting to do it enough and if I really want to do a hard scary route, then the courage will follow.